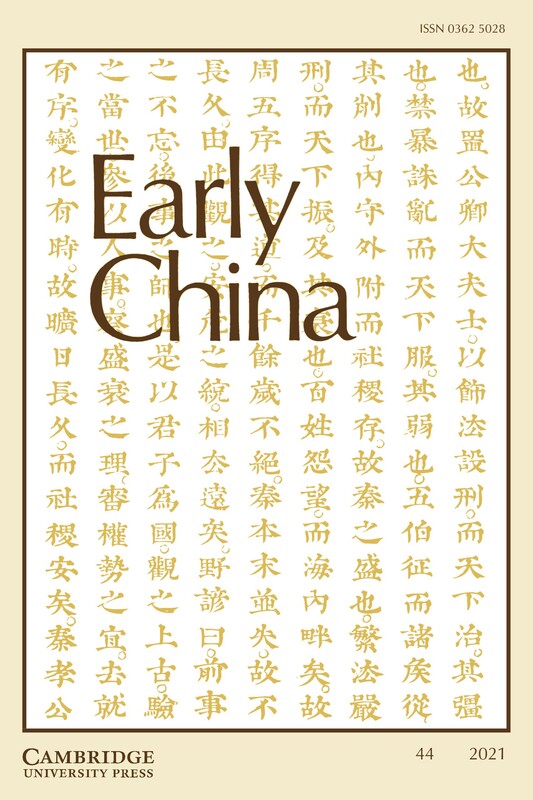 Early China publishes original research on all aspects of the culture and civilization of China from earliest times through the Han dynasty period (CE 220). The journal is interdisciplinary in scope, including articles on Chinese archaeology, history, philosophy, religion, literature, and paleography. It is the only English-language journal to publish solely on early China, and to include information on all relevant publications in all languages. The journal is of interest to scholars of archaeology and of other ancient cultures as well as sinologists.